The decomposing body of a 44‑year‑old branch manager of a commercial bank, Habeeb Olatunde, who reportedly committed suicide has been discovered. 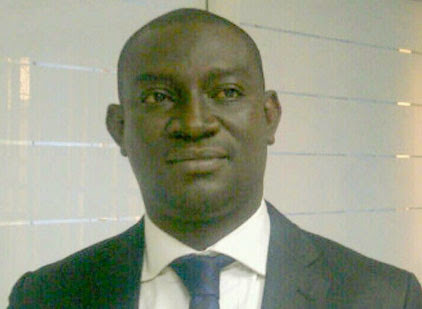 The late bank manager who was reportedly declared missing on June 18, 2014 was found dead in an uncompleted building at Arepo, near Ibafo, at about 3pm last Saturday. The state Police Public Relations Officer, Muyiwa Adejobi, disclosed this, yesterday, in a statement, saying the Police detectives attached to Ibafo Divisional Headquarters, led by the Divisional Police Officer, CSP Salawu Jimoh, made the discovery. Adejobi further explained that the command had circulated news of Olatunde’s disappearance at Ibafo Division on June 19, 2014, adding that the Police have intensified efforts to find him before his body was discovered after a thorough search with the help of members of the community. According to Adejobi, preliminary investigation revealed that the top bank official committed suicide by hanging, adding: “While investigation was on, it was revealed that the deceased actually complained of stress in the office and was permitted to have a rest. He committed the suicide while he was on casual leave. “The Commissioner of Police Ogun State, CP Ikemefuna Okoye, has commended members of the community for their support and usual cooperation towards achieving adequate security of lives and property in Arepo and Ogun State in general.